Your home is likely one of the largest investments you will ever make, and as such, it is extremely important that you take all of the necessary steps to keep it in the best condition possible at all times. Sometimes this can be more work that you might have originally thought. There are any number of things that can go wrong with your home at just about any time, and if you don’t already have the name of a professional who can come in and give you the timely repairs and installations you need, your home could suffer. Here at Exclusive Heating, Air Conditioning, Sewer, & Drain, our team of Bridgewater heating, air conditioning and sewer service professionals have the skill and experience necessary to deliver exactly the kind of service you need, right when you need it most. For all of your heating, AC, sewer, and drain service needs, our team of experts are always ready to answer the call, 24 hours a day, 7 days a week. There are any number of things that can go wrong with your home’s heating, AC, sewer, and drain systems at just about any time, and when it does, it can be a major disruption to you and your family’s daily lives. Here at Exclusive Heating, Air Conditioning, Sewer, & Drain, our team of professionals will work our hardest to ensure your work gets done in a timely and efficient manner, so that you and your family can get back to your daily lives. Whether you are looking for heating and air conditioning repairs, and replacements, sewer line repairs, or new drain installations, our team of professionals can see the job done, and make sure it gets done right. If you have any questions about our full line of high quality services, or if you would like to schedule an appointment for your service with one of our specialists, give us a call today. The team of Bridgewater HVAC experts at our air conditioning company are always standing by and would be more than happy to assist you in any way we can. Here at Exclusive Heating, Air Conditioning, Sewer, & Drain, our long list of specialties extends to various types of heating system as well. 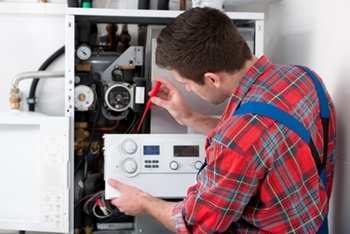 Your home’s heating system is responsible for a great deal of the comfort that you and your family enjoy on a daily basis here in New Jersey, but if it has been a while since your last service, or you have noticed that your heater just doesn’t seem to put out as much hot air as efficiently as it once did, it might be time to call in our team of Bridgewater heating repair professionals and let us have a look. No matter what kind of condition your system might be in, our team of professionals can provide you with the high quality repairs you need to get your system working again like it should. Alternatively, if your home’s heater has just reached the end of its functional life, our team of experts can help you find the perfect replacement alternative and give you a quality heating installation in Bridgewater that you and your family will be able to count on for many years to come. If you are looking for a reliable sewer service, heating and air conditioning company in Bridgewater, NJ then please call Exclusive Heating, Air Conditioning, Sewer & Drain Service at 732-287-6300 or complete our online request form.